Lock in a great price for El Tejar Hotel & Spa – rated 8.8 by recent guests! Very clean. The foods are delicious, especially the breakfast. And the spa is great! 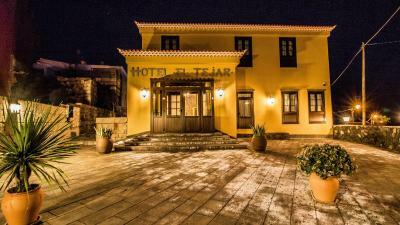 The hotel in beautiful and located in a very nice town above the clouds called Vilaflor. Great base for a visit to the Teide area. The owners are a sweet couple that made us feel at home. Clean, great staff, spa facilities, nice room with bathtub. Location easy to find and nice and calm. Breakfast was excellent! Helpful nice staff great food and dinner was lovely!! Hotel staff is highly welcoming, professional and know how to make you feel at home. Rooms and furniture were excellently crafted and very clean. The Restaurant serves original cuisine that matches the rural setting and is of excellent quality. Helpful and friendly Staff. Good breakfast. Ideal location for the Teide national park. Wonderful and quiet location. Grate staff. Amazing breakfast! Beautiful rooms and exeptionally clean. 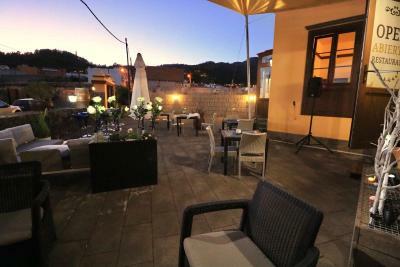 The hotel has a charming traditional interior with friendly, helpful staff. The bedrooms are spacious and comfortable. The breakfast was very good with plenty of choice including fresh fruit, breads, egg, self made pancakes, meats and cheeses. The dinner was a very reasonable price served with a good local wine. 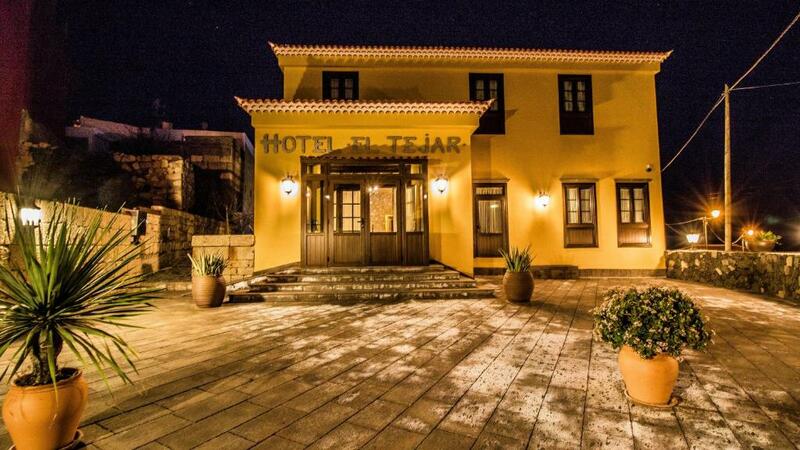 El Tejar Hotel & Spa This rating is a reflection of how the property compares to the industry standard when it comes to price, facilities and services available. It's based on a self-evaluation by the property. Use this rating to help choose your stay! Located in Vilaflor in the Tenerife Region, 17 mi from Playa de las Americas, El Tejar Hotel & Spa features a hot tub and sauna. The resort has an outdoor pool and views of the sea, and guests can enjoy a meal at the restaurant. Each room at this hotel is equipped with a flat-screen TV with satellite channels. Some units have a seating area where you can relax. Every room is fitted with a private bathroom. You will find free toiletries and a hairdryer. El Tejar Hotel & Spa features free WiFi throughout the property. There is also a shuttle service available, dry cleaning services and shops. The area is surrounded by nature and is popular for hiking. Puerto de la Cruz is 19 mi from El Tejar Hotel & Spa, while Los Cristianos is 17 mi away. The nearest airport is Tenerife Sur Airport, 15 mi away. This property is also rated for the best value in Vilaflor! Guests are getting more for their money when compared to other properties in this city. When would you like to stay at El Tejar Hotel & Spa? This double room has a cable TV, air conditioning and bathrobe. This double room features a seating area, flat-screen TV and mini-bar. This twin room has a sofa, sea view and patio. House Rules El Tejar Hotel & Spa takes special requests – add in the next step! Any additional older children or adults are charged EUR 52 per night for extra beds. El Tejar Hotel &amp; Spa accepts these cards and reserves the right to temporarily hold an amount prior to arrival. El Tejar Hotel & Spa accepts these cards and reserves the right to temporarily hold an amount prior to arrival. Please note that shuttle service carries an extra charge. Bed was adequate but could have been more comfortable. The dining room lacks ambience for dinner, a bit too well lit. The swimming pool is very small. 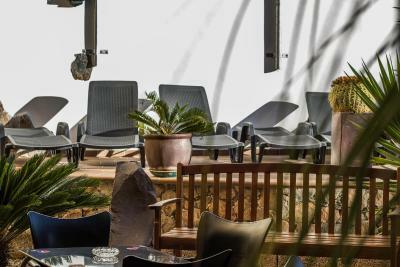 Attractive hotel in great location for both Teide area and the coast whilst set in a traditional small town. The owners ( relatively new) are working hard and successfully to create a great hotel with A good ambience, very good food and excellent, comfortable accommodation. We would very happily stay there again. The hotel and room were beautiful. The staff were super friendly. They offered to help us with some thing we needed and recommended us fantastic places to eat. The breakfast was excellent and the automatic pancake making machine did produce lovely, light fluffy pancakes. The owners were welcoming, spoke good English and very helpful. The hotel restaurant was good and the Canarian tasting menu is good and gives good value for money. Rooms are clean, comfortable and well presented. The owners were very wellcoming, very attentive to the customers and the food was very well prepared and testy. Great place, good food. All very easy. Rooms were spacious, clean and comfortable. Breakfast was freshly cooked to order and kept us going through long walks. Dinners were home cooked and great value for money. Pretty village with lovely fresh air - great location for walking.